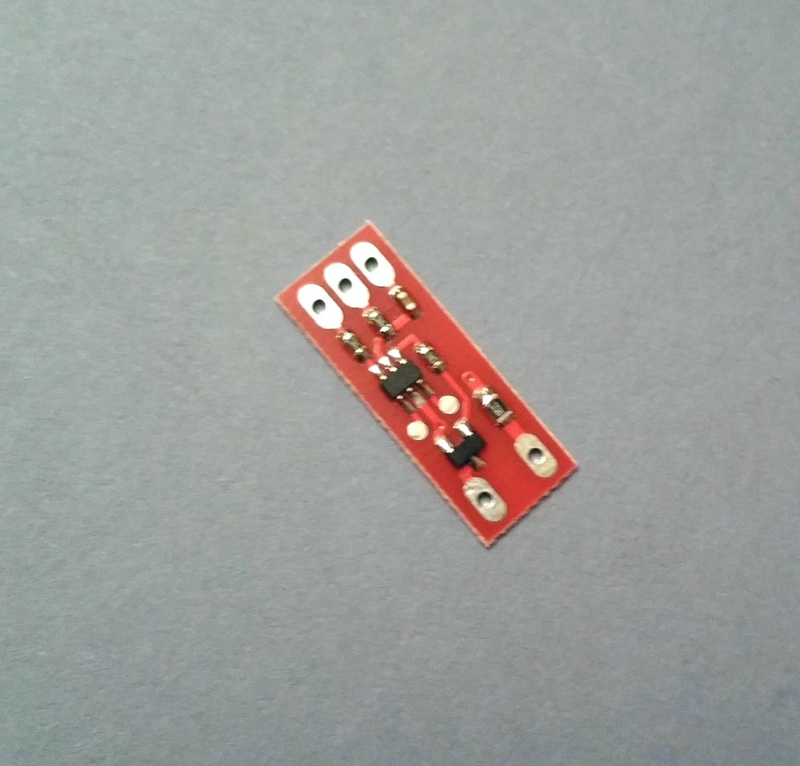 This Strobe Light Circuit board are most powerful navigation lights on the model market since years. It’s powerful but power consumption is only 50mA per hours because of strobe method. orientation or plane’s current position. seconds and this makes very bright flashes with low power consumption (50mAh). It is allowing 2 different working modes, RC mode or Standalone. Power it with directly from battery (3.5-6v) it works on Standalone mode and strobes continuously. 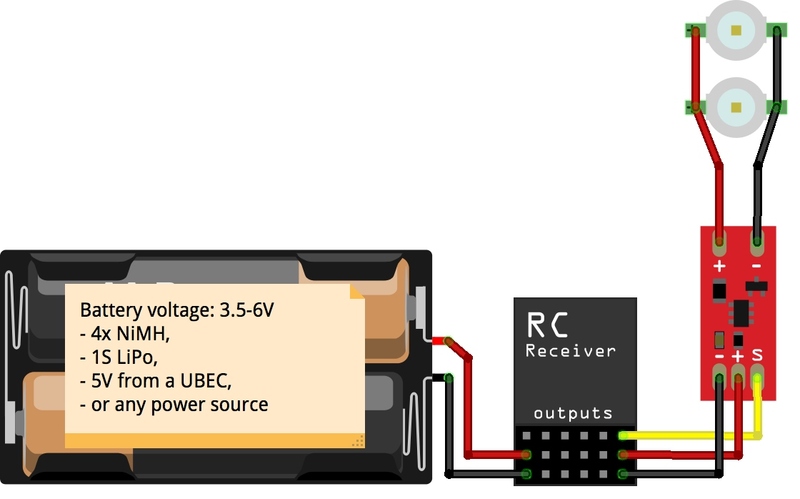 Plug it on your RC receiver’s any channel for RC mode, then you can On/Off it over servo channel. You can choose any Power LED(3W) and install only the LED body outside of your flying platform. This circuit board also drives more than one Power LED (the colors must be same for same forward voltage).